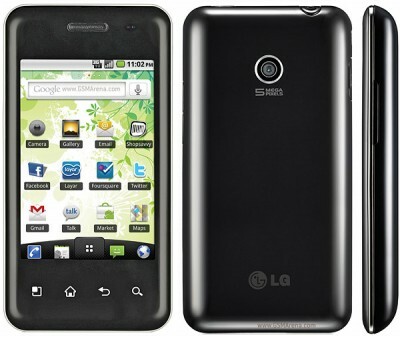 The new LG E720 Optimus Chic has a 3.2″ touchscreen with a 320 x 480 pixel resolution. The LG E720 Optimus Chic works with a 600 MHz processor and with the Platform Android 2.2 aka FroYo. The dimensions are about 112.5 mm in height, 57.9 mm in width and 12.9 mm in depth and weighs about 132 g. The LG E720 Optimus Chic is one of the thinnest and lightest Android phones yet. The 3.5mm handsfree port is located on the top of the handset just by the power / screen lock key, while the micro USB connector (neatly hidden by a lift panel) is on left side. There is also a 5 megapixel camera with video capture. Cellunlocker.net is proud to announce we are unlocking the LG E720 Optimus Chic fast and easy. Cellunlocker.net is proud to announce we can Unlock the LG E720 Optimus Chic to any GSM Network fast and easy! Once you unlock your LG E720 Optimus Chic device, you can change to any GSM Carrier. UNLOCK MY LG E720 Optimus Chic NOW! * There is absolutely no risk of damaging your LG E720 Optimus Chic by unlocking it. UNLOCK MY LG E720 NOW! it might be a compatibility issue with the simcard you are trying to use. Try another simcard.